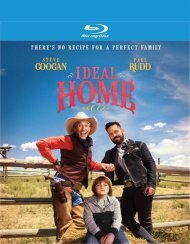 Paul (Paul Rudd) and demanding celebrity chef Erasmus (Steve Coogan) are a bickering couple who live an extravagant, self-indulgent life. When young Bill (Jack Gore), the grandson they never knew existed, crashes their fancy dinner party, their lives are turned upside-down. With nowhere else to go, the couple reluctantly decide to take the kid in but they have some major shaping-up to do if they're going to make this new family unit work. 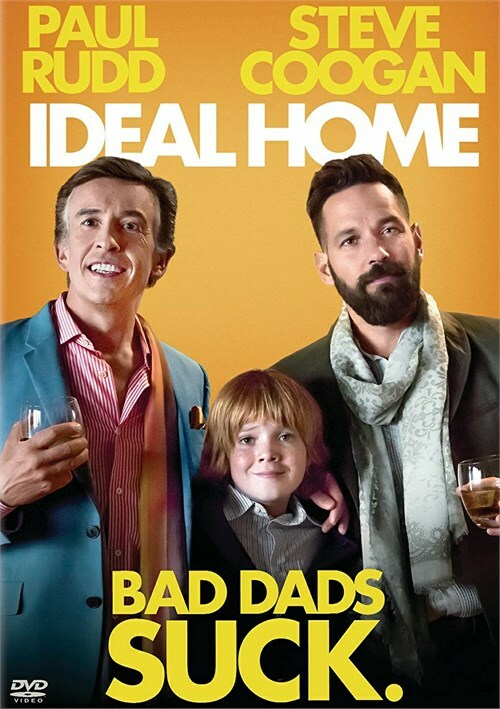 Erasmus Brumble (Steve Coogan) and Paul (Paul Rudd) are a long-term gay couple on the verge of a nervous breakdown in "Ideal Home", a new comedy film written and directed by Andrew Fleming. Erasmus and Paul have been together many years and produce a successful cooking show on American basic cable TV, hosted by Erasmus himself. The success of the show allows them to lead an extravagant lifestyle and distracts them from their own relationship problems. Then one night, out of the blue, Angel (Jack Gore) shows up at their door with a note explaining that he is the child of Erasmus' son, Beau (Jake McDorman). Erasmus had not even been aware of Angel's existence. Despite this, there is no one else in the world who can take care of his grandson so they decide to take Angel into their home and look after him. As can be expected, the child's sudden arrival turns their world upside down and the task of parenting proves to be challenging to them. Angel, whom they soon take to calling Bill, is a difficult child and they may be a little too immature to take care of him properly. Yet it is their willingness to learn the tricks of the trade as they go along that shows that they are kind hearted souls. It is their own coming-of-age that is the film's real driving and is also the source of most of the film's humor.